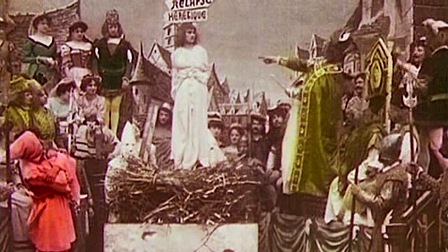 Georges Méliès filmed the first biographical moving picture in 1900. [i] His subject was that enduring character, Jeanne d’Arc, whose mythic stature has captured the imagination of many. Martyrs, mystics, and biblical personages figure prominently in the genre, as do folk heroes, outlaws, and Lotharios; tortured artists of the stage, the pen, and the canvas; composers and sculptors; celebrities and sports giants; explorers, spies, scientists, and inventors; military and political leaders, monarchs, and despots; whistleblowers and underdogs. The decade from 1900-1910 would see only five more biographical pictures; 1910 to 1920 and 1920 to 1930, thirty-five and thirty-two respectively. Then in 1940 alone, over twenty biopics were released, and the decade from 1940 to 1950 produced 135 in total. 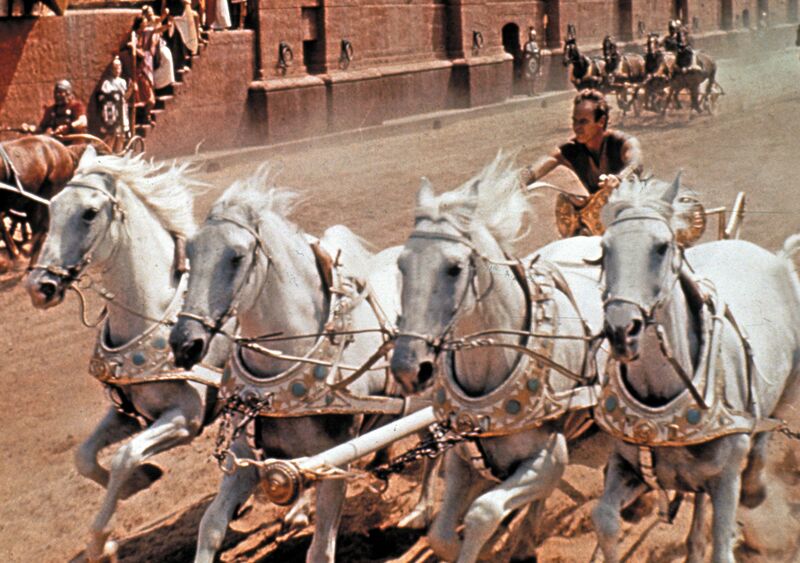 In the 1950s the number jumped to almost 200, but dropped in the ‘60s to around 100 again as the Hollywood studio system waned and with it, historical epics. Concurrently, New Wave and other European movements began to influence film worldwide, aesthetically and thematically, and favored original screenplays over retellings of lives lived. During the ‘70s the number of biopics again hovered around 100 (to which Ken Russell made a sizable – and eccentric – contribution) as independent film makers explored not only real life stories but original narratives concerning contemporary political and social issues. The ‘70s also saw the emergence of the blockbuster in the U.S. (Francis Ford Coppola’s 1972 The Godfather, William Friedkin’s 1973 The Exorcist, Steven Spielberg’s 1975 Jaws and 1977 Close Encounters of the Third Kind, and George Lucas’s 1977 Star Wars). As the blockbuster rose to preeminence in the ‘80s, the biopic held steady. Then, the last decade of the 20th century experienced a meteoric rise in biopics, almost 250, and in the first decade of the next century, that number would grow by almost 80%. If trends persist, fantasy may become the sole purview of the original screenplay. The films most often found in “Best Biopics of All Time” sorts of lists are usually of historical personages around whom speculation has swirled: Carl Theodor Dreyer’s 1928 The Passion of Joan of Arc (again, and many times more), David Lean’s 1962 Lawrence of Arabia, John Merrick’s 1980 The Elephant Man, Miloš Forman’s 1984 Amadeus. 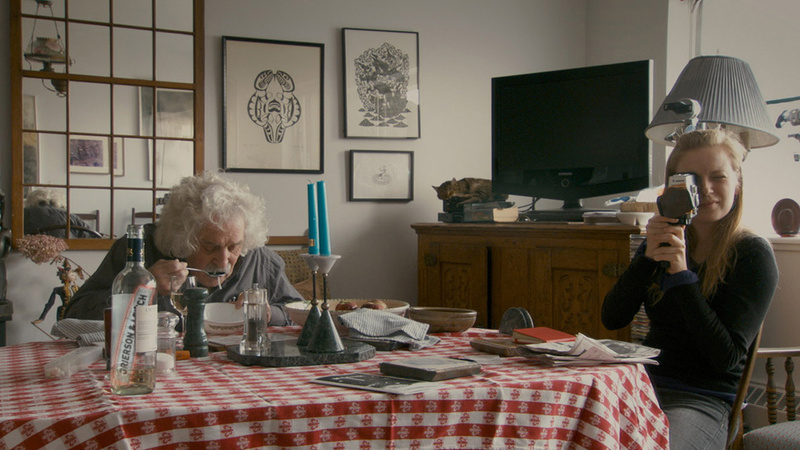 The sketchier the historical record of the inner life of a particular person, the freer film makers are to invent a narrative version of events. Andrei Tarkovsky’s masterful 1966 Andrei Rublev has the advantage that virtually nothing is known about the 15th century Russian icon and fresco painter at its center. Todd Haynes’s 2007 I’m Not There, a kaleidoscopic meditation on the reclusive Bob Dylan, takes the biopic to a meta-fictive extreme, preceded by the disclaimer, “Inspired by the music and many lives of Bob Dylan.” Elusive characters allow screenwriters, directors, and actors poetic freedom and protect them from a chorus of charges of distortion and fabrication. 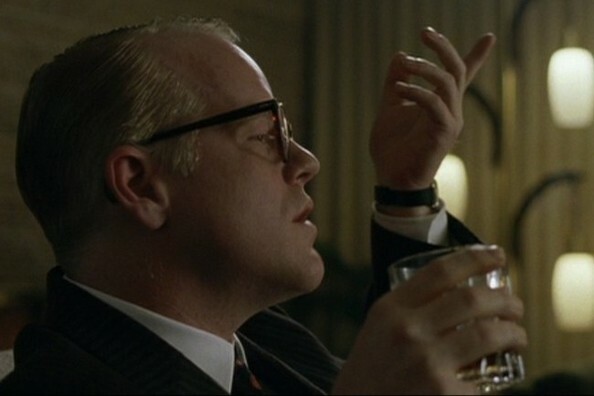 American audiences are now inclined to judge biopics by the extent to which actors are able to impersonate a subject. Morgan Freeman “looked just like” Nelson Mandela in Clint Eastwood’s 2009 Invictus and Ben Kingsley like Gandhi in Richard Attenborough’s 1984 film, but neither embodied his character as thoroughly as Philip Seymour Hoffman as Truman Capote in Bennett Miller’s 2005 Capote, Marion Cotillard as Edith Piaf in Oliver Dahan’s 2007 La Vie en Rose, or Meryl Streep as a dazzling incarnation of Julia Child in Nora Ephron’s 2009 Julie and Julia, which was nothing less than joyous (the other half of the film, not so much). By contrast, Eastwood's decision to overly rely on prostheses in his 2011 J. Edgar became a serious distraction (and Leonardo DiCaprio struggled way too hard at method). Why are we so enamored of biopics? 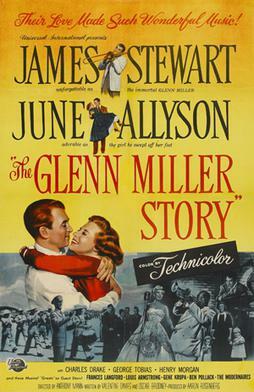 The biopic at the center of my childhood was Anthony Mann’s The Glenn Miller Story (1954), starring James Stewart in the titular role with June Allyson as his doting wife, Helen. My parents loved this movie – especially the part at the end when Miller’s band plays “Little Brown Jug,” knowing it is Helen’s favorite. The Glenn Miller Story has it all: It’s a World War II movie, a musical of sorts, a love story, and it's chock full of famous jazz musicians in cameos playing themselves, including Louis Armstrong, Gene Krupa, and Tex Beneke to name only a few. A good biopic needs a hero (or villain), and the bandleader is dutifully lionized. Miller overcomes some odds though not enough to make it a little guy’s conquering tale, but his plane going MIA over the English Channel makes his story consummate biopic fodder. Biopics are about nostalgia and our, almost always romanticized, versions of the past. We can get quite smug vetting costumes (especially military uniforms) and hairdos and set dressing. (Larger historical questions aside, my anachronism alarm went off in Selma's kitchen scene when MLK pulls a plastic bag of garbage from under the sink, then gets a fresh bag – more than a decade early.) Over-restored vintage automobiles glide through the streets of period movies, shinier and sleeker than they were when they rolled off the factory production line. In recent decades, however, once the poster and trailer announce “Based on a True Story,” the “gotcha” trap is set. The turning point seems to have been 1989, the year Oliver Stone was slammed for Born on the Fourth of July. The film initially met with a warm critical reception, but Diana West’s 1990 article for The Washington Times, “Does Born on the Fourth of July Lie?,” is typical of the ensuing onslaught. Based on the autobiography by Vietnam War veteran Ron Kovic, who co-wrote the screenplay with Stone, Born on the Fourth of July encountered a barrage of criticism for everything from collapsing multiple characters into one or inventing characters altogether to outright falsifying the record. Ava DuVernay’s Selma is facing similar reproofs. Selma confronts a further challenge in that it is not based on autobiography so at the same time the grand historical narrative is expected to be accurate, the personal story must be conjectured. Since 1990, film makers have deployed variously worded disclaimers to avoid a torrent of accusations of inaccuracy. Closing credits end with statements along the lines of: "This story is based on actual events. Some incidents, characters and timelines have been altered for dramatic purposes. Certain characters may be composites or fictitious." We love our biopics, sometimes we hate our biopics, but one thing's for certain: We desperately need our biopics. 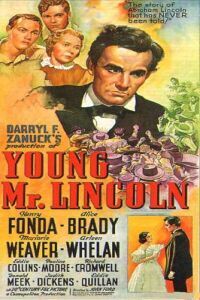 Since Thomas Edison's 1895 The Execution of Mary, Queen of Scots [sic], film has been the favored vector for creating a usable past, from Young Mr. Lincoln to Walk the Line. Biopics have told a nation who our heroes are, what deserves to be remembered, what counts as history. They tell us who we are. And precisely because movies are such a potent form of forging historical consensus, not only are they expected to hew to particular aesthetic standards (no "inspired by the many lives of," please, we like our biopics literal and irony-free), but factual standards as well. Fast forward to 2013’s dueling biopics, Lee Daniels’ The Butler and Steve McQueen's 12 Years a Slave. The Butler may have been inspired by a true story, but it is not based on a true story as it claims. There was a person, Eugene Allen, who served presidents Truman to Reagan as a White House butler, but beyond that, pretty much everything about the character is pure fiction. Virtually nothing about the butler of the movie, Cecil Gaines, aligns with Allen's personal life. Yet I would argue that the created character is not the problem for The Butler: its problem rests in trying to cover so very much. As we march through the years and the decades, Daniels finally has to employ montage to squeeze in every historical benchmark. I tried to be generous and think, Well, maybe that's good for younger people who, unlike me, did not live through the times the narrative chronicles. That is to say, it works better as a history gloss than it does as a work of cinema. Unlike the decades-long The Butler, DuVernay wisely chose to train Selma’s focus on a limited time and space, though within those limits she may have taken too much liberty in the eyes of some viewers. Unlike The Butler, McQueen's remarkably faithful adaptation of Solomon Northrup's autobiography, no matter how implausible a particular may seem, hews to the memoir’s narrative without feeling compelled to pull in every concurrent historical event. Perhaps what redeems 12 Years a Slave is that Northrop had already distilled his experience through memoir, had already shaped his story into a narrative arc through the natural editorializing that memory affords. Our dual usages of both the words “myth” and “fiction” are diametrically opposed. Both can mean a falsehood: Don’t believe that; it’s just a myth, a fiction. At the same time, we use the word “fiction” as a synonym for imaginative literature and the word “myth” to describe the organizing principles, the archetypes, of the collective unconscious (Carl Jung) or archaic remnants (Sigmund Freud). I call it “truth with a capital ‘T.’” Throughout millennia, the human community has created astonishingly similar mythologies as a means to explain the mysteries of life in the midst of an indifferent universe. On the personal level, we are each unconsciously involved in an ongoing creation of the myth of an individual life – our own – a process of constant refinement and adjustment. I have an experience on Monday morning that I want to relate to my lunch companion. Without consciously knowing I am doing so, I register his reactions – why isn’t he surprised here, why isn’t he empathetic there, why doesn’t he laugh here, why doesn’t he find that unfair? When I get back to the office and tell the story again, it is a better story – and by the end of the week, with the telling, my listeners come to respond with emotions more aligned with my expectations. Life is messy, complicated, bewildering. We give it meaning through ordering, through the stories we tell, and myth, fiction, and poetry speak more profoundly to the heart than reportage. On Oscar night, I will not be rooting for the biopics. With notable exceptions, biographical films and based-on-a-true-story vehicles rarely achieve cinematic greatness, constrained as they are by their biography and the historical record. Instead, I am pinning my hopes on the stories, the creative imaginings that open the window to that elusive truth with a capital “T” – like Birdman and Boyhood, each of which in its own uniqueness tells us something, as Raymond Carver does, of what we talk about when we talk about love. History is biased by opinion and zeitgeist, memoir by memory and desire, and all telling by point of view. The avant-garde Soviet director Dziga Vertov belonged to the kinoks (“kino-oki,” cinema-eyes) movement, which sought to abolish all forms of non-documentary film, insisting that the cinema of the future be the cinema of fact – “life caught unawares,” as Vertov famously proclaimed. He called the series of 23 newsreels he directed between 1922 and 1925 Kino-Pravda, Cinema-Truth. 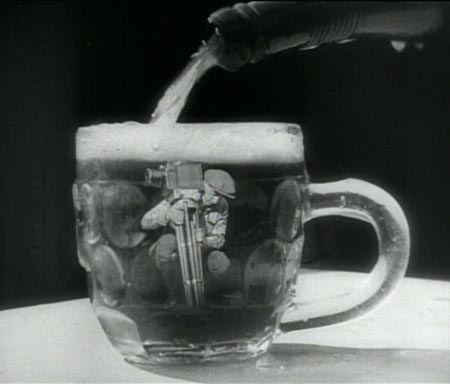 His 1929 silent documentary, Man with a Movie Camera, is considered a landmark for its innovative cinematic techniques. It chronicles a day in the life of modern Soviet citizens using double exposures, fast and slow and stop motion, freeze frames, jump cuts, split screens, canted angles, backward footage in order to push the boundaries of linear film. The irony, of course, is that life is linear and does not present itself in double exposures, fast and slow and stop motion, freeze frames, jump cuts, split screens, or backward footage. [i] Thomas Edison’s 1895 The Execution of Mary Stuart fails to make lists of biographical film. Coming in at only 18-seconds, it is not a story of a life but an enactment of an event. 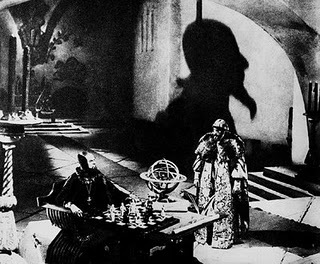 Some film critics cite Alfred E. Green’s 1929 Disraeli as the first biographical film. The role had been written for the actor George Arliss, who portrayed the 19th century British prime minister in stage productions that toured from 1911-1916, in Henry Kolker’s 1921 silent picture, and again in Green’s talkie. [ii] That Chazelle's film is largely autobiographical makes the Academy’s decision to exclude Whiplash from the Original Screenplay category truly baffling. The story of how the Academy may have confused it with an adapted script is convoluted, but Deadline awards editor and columnist Pete Hammond explains (but does not justify) it. [iii] The Chilean film No, directed by Pablo Larrain, is an historical drama about a man who helped topple the Pinochet regime; Montreal-based director Kim Nguyen's War Witch is based on the actual events of a child soldier in Burma re-envisioned in the Democratic Republic of Congo; Danish director Nikolaj Arcel's A Royal Affair is about the mentally ill 18th century Danish King Christian VII and the affair between his queen and the royal physician; and the Norwegian directors Joachim Rønning and Espen Sandberg's Kon-Tiki is an historical drama about the ethnographer Thor Heyerdahl's 1947 expedition undertaken in an attempt to prove his theory that people from South America settled in Polynesia in pre-Columbian times; even the French director Michael Haneke's Amour was based on his own family experience. [iv] The 2004 BBC television film Hawking has Cumberbatch in the title role and is much more about physics and the collaborative process than The Theory of Everything. It also gives the love story the back seat by ending before the wedding, which makes it, to my mind, the better movie for avoiding the soap opera quality of The Theory of Everything. [v] The expurgated passages were published separately in 1723; a complete reprint appeared in 1807.